Tour groups convene in Lobby 7, in the main building at 77 Massachusetts Avenue. Tours are offered at 11:00 a.m. and 3:00 p.m. Monday-Friday. Reservations are required for groups of 10 or more. Further questions about campus tours may be addressed to the Information Center, 617-253-4795. Maps to lead you on a self-guided tour of the MIT campus are available at the Information Center, room 7-121 (see How to Read an MIT Address). Download the new MIT Mobile Campus Tour! The MIT Mobile app requires iOS 4.0 or newer or Android OS 2.1 or newer. To get the app for you device, search for “MIT Mobile” at the iPhone App Store or the Android Market. MIT's campus vision is to create infrastructure that fosters the cross-fertilization of ideas, with architecture that reinforces the vital, forward-thinking spirit of the community it serves. Such modern masters as Alvar Aalto (Baker House), Eero Saarinen (MIT Chapel, Kresge Auditorium), I.M. Pei (Wiesner Building, Green Building, Dreyfus Building, Landau Building), Steven Holl (Simmons Hall), and Frank Gehry (The Ray & Maria Stata Center) have all designed buildings for MIT. The Office of the Arts is your gateway to all forms of artistic expression at MIT: architecture, dance, film, literary arts, media arts, music, theater, and visual arts. It may surprise you to learn that MIT has a thriving arts community. More than 60% of incoming freshmen are already involved in the arts, and several hundred performances take place on campus each year. Be sure to consult the Arts Calendar and the MIT Events Calendar for arts events. You might also visit the website for the Student Art Association, or the more than 50 student arts groups prior to your visit to get a taste of the arts at MIT. 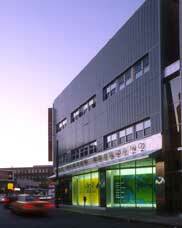 The List Visual Arts Center is at 20 Ames Street (Building E15), Atrium level. It houses a collection of contemporary art in all media, in addition to managing the Artists-in-Residence and Percent-for-Art programs. Hours and directions are available on the List website. Admission to all exhibitions and related events is free and open to the general public. Group tours, of exhibitions and of the outdoor public sculpture collection, may be arranged by calling 617-253-4400. The galleries and Bartos Theatre (20 Ames Street, lower level) are wheelchair accessible. Other assistive accommodations (listening devices, ASL interpretation) may be arranged two weeks in advance by calling 617-253-4400. The Massachusetts Relay Service number (for calls originating within Massachusetts) is 800-439-2370 (TTY). The MIT Museum is located at 265 Massachusetts Avenue, Building N52. In addition to the world's largest collection of holography, the museum features Kismet and other MIT robots, the interactive sculpture of Arthur Ganson, and "Doc" Edgerton's famous stop-motion photography, as well as programs and activities for all ages. Hours and visitors’ tips are available at the Museum’s website, as are the hours of the Compton Gallery in Building 10, and the Hart Nautical Gallery in Building 5. All facilities at the Museum and its galleries are wheelchair accessible, and sign language interpretation and disability assistance are available through Visitors’ Services. Please call them at 617-253-5927. On the MIT Events Calendar, you can search for lectures, performances, and participatory events throughout the year. Please note that departments are not required to submit information to the calendar; if you are looking for the location of an event that is not listed, please call the department directly using the Offices and Programs directory. If you have a special interest, be sure to browse MIT's list of student groups for everything from ballroom dancing to the Society for Creative Anachronism to WMBR, MIT's student-run radio station, as well as more than 60 cultural and language groups. We’ve heard there is life outside the lab. With its café, bookstores, and student community, Cambridge is often referred to as "Boston's Left Bank." Central Square is known for its international restaurants and music clubs, and Harvard Square for its bookstores and street performers. You'll find award-winning improv comedy in Inman Square. 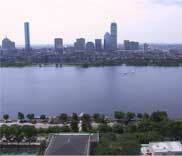 Kendall Square is home to MIT, and is the center of the high tech and biotechnology industries in Massachusetts. In North Cambridge, Porter Square boasts the region's largest concentration of Japanese eateries and shops, and in nearby Somerville, Davis Square hosts a vibrant arts community. Before 1660, a trip to Boston from Cambridge involved a ferry ride and an eight-mile walk. You will find it more convenient to take the T or a cab across the river, or even walk. After all, it's only 364.4 smoots and one ear. Hide out in the courtyard of the Boston Public Library, or see and be seen on Newbury Street. Take a Duck Tour in the city or a cruise through the Harbor Islands...Boston and Cambridge have something for everyone.